At its core, Islamic finance embeds the principles of fairness, equality and ethics, with the aim that Shariah compliant financial services will lead to enhanced social well-being, which will encourage sustainable economic activity. Juxtaposed against socially responsible investing (SRI), there is very little difference between the objective of Islamic finance and SRI’s concept and aims, and as such it can be argued that Islamic finance too provides the same benefits as the SRI funds available in global markets. So, can conventional SRI funds then be re-structured into Islamic funds to tap into the large liquid Islamic capital market which widely seeks Shariah compliant asset classes? If so, there is a huge opportunity within the Islamic capital market where established conventional funds can tap to broaden its horizon. In some markets, the momentum has been steadily building in towards this realization, and as a result the confluence and connectivity of Islamic funds with global SRI funds has been increasing exponentially in recent years. Therefore, isn’t understanding the scope of SRI within the Islamic and Shariah compliance space is pivotal for finance practitioners? Come and join the discussion on how Labuan IBFC’s Islamic solutions can assist in further bridging the perceived divide between Islamic finance and SRI investing. 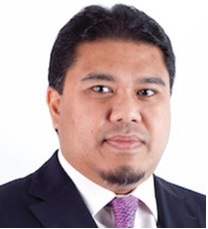 Aderi Adnan is Labuan IBFC Inc’s Business Development Director, specialising in Islamic finance and wealth management. Prior to joining Labuan IBFC Inc, Aderi was the Director of Islamic Finance at the Dubai International Financial Centre (DIFC) where he was responsible for its business development activities. He started his career with the Maybank Investment Banking Group, with extensive work experience within the group’s corporate finance and advisory team, private equity and fund management subsidiaries. Aderi is a member of the Chartered Institute of Management Accountants (CIMA), UK and graduated from Kingston University, UK in Accounting and Finance. 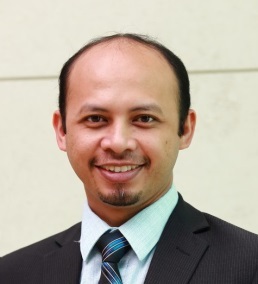 Ahmad Hafiz is a Financial Sector Specialist with the World Bank Group Global Knowledge and Research Hub in Malaysia. He brings with him ten years of relevant experiences in financial sector development, particularly in the area of Islamic capital markets, green finance and financial inclusion. He has worked as a Principal Assistant Director at the Ministry of International Trade and Industry, and as Manager of the Islamic Capital Market division at the Securities Commission Malaysia. He holds a Master’s degree in Islamic Banking and Finance from Bangor University, United Kingdom which he completed under the Chevening scholarship, and a Master of Arts in Islamic Revealed Knowledge and Heritage (Fiqh and Usul Fiqh) (Honors) from the International Islamic University Malaysia. 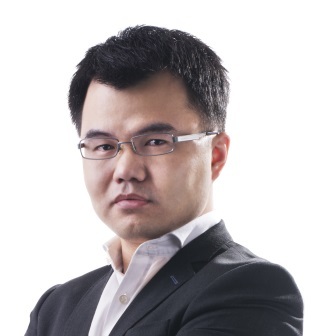 Dr Choo Koon Lip is the Director of GA Peninsular Capital - a Fund Manager licensed in Labuan FSA. He's also the Director of Duo Asset Management (Hong Kong Type 9 licensed entity) and focuses greatly in Pre-IPO investment and management in Australian Stock Exchange (ASX). He is currently on the board of directors for a couple of ASX-listed companies, including one of the top performing ASX-listed companies in 2017 which he founded. Dr Choo has a book called ‘The Lemming Trader’, which is loosely based on his first doctorate thesis focusing on investment and trading psychology. He's currently completing his second thesis on IPO behaviour psychology.